David Guiles, executive director of Grace Brethren International Missions, sends the following initial report from the Third Lausanne Congress on World Evangelization meeting October 16-25 at Cape Town, South Africa. 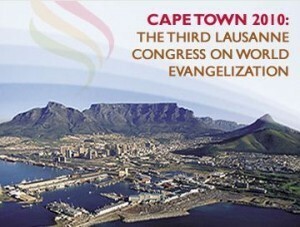 A few hours ago, 4200 delegates gathered at the Cape Town International Convention Center (South Africa) to launch The Third Lausanne Congress on World Evangelization. Representing 198 countries, Lausanne III is considered the largest and most diverse international congress in the 2000 year history of the Christian church. As a conference for evangelical leaders, there are approximately 1200 missionaries and mission leaders, 1200 pastors and denominational leaders, 1200 scholars and 600 workplace professionals. Over 40% of the participants are under 50 years of age, marking the beginning of a transition of leadership to the younger generation. In addition, there are over 650 off-site locations in 96 countries providing real-time video links, and an additional estimated 100,000+ individuals following the Congress online. The opening session began with an explosion of South Africa music as a massive choir of voices, drums and dancers welcomed us in the name of Christ to Cape Town. Then, through a newly created video of the history of the church, we were reminded how we stand in the stream of a glorious (and often painful) two thousand year tradition of leaders seeking to carry out the Great Commission of Jesus Christ. Later, through drama, we were exposed to the impact for Christ during this past century through faithful, national leaders on the continents of Asia, Africa and Latin America. The theme verse of the Congress is taken from 2 Corinthians 5:19 – God in Christ, reconciling the world to himself; and the central theme is The Whole Church taking the Whole Gospel to the Whole World. Toward the conclusion of the opening session, Douglas Birdsall, Chairman of the Lausanne Movement, asked the pertinent question, “why another conference?” His answers were simple and compelling. In a world that is rapidly changing, the evangelical movement has become ‘diffused.’ It is time to call upon the Lord for a fresh understanding of his purposes for the church in our generation. The opening ceremonies are history; now it is time to get to work. Personal reflections: By 7 p.m. today I had already met believers from Serbia, Montenegro, Slovenia, India, Switzerland, South Africa and a host of other countries. Later, as I stood and worshiped with thousands of brothers and sisters from 198 countries, my heart was thrilled to think that even this great gathering is only a poor sample of what we will someday experience before the throne of God. By then, we will ‘see clearly’ – as the dividing walls of language, culture, age and even minor doctrinal differences will disappear. Please pray that as a global gathering of evangelical leaders we will approach the task before us this week with attitudes of love and humility, study and prayer, and vision and hope.